Hey everyone! Not going to lie, I am so excited to be sharing this post. I was itching to wear some of my spring break clothes yesterday, so I put together a few outfits for some real styling, compared to my Polyvore sets. 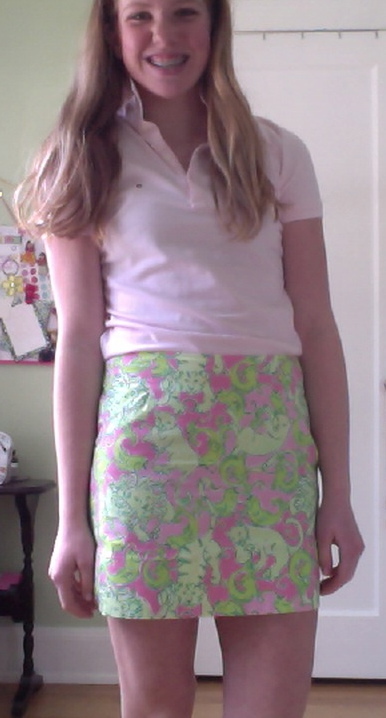 I chose three categories to style: Lilly skirts, norts, and white pants. I feel like these are three spring break essentials that aren't always the easiest to style, compared to Lilly dresses which you can just throw on, or J. Crew shorts, which match everything. So, without further adieu, here are my outfits for y'all! 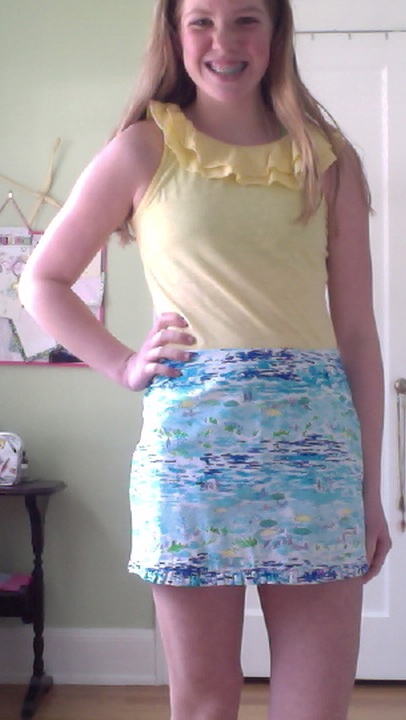 Lilly skirts in themselves are super cute and super fun pieces. When styling one, you want to make sure you pick a top that doesn't distract from the skirt, but is still cute enough to maintain the "cute factor" of the outfit! In the first picture, I am wearing a light pink Tommy Hilfiger polo. In the second picture, I am wearing the Lilly "Wynne" top in yellow. Every outfit you wear on spring break should be cute, even if it includes a pair of norts. 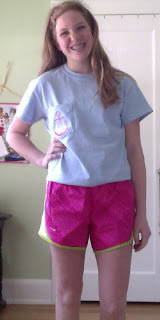 I chose a pink and green pair and added a monogram t-shirt for a super comfy, yet still cute, outfit! 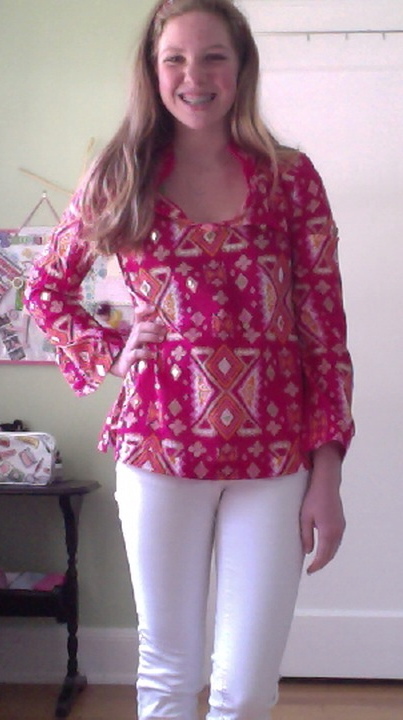 Ok, so maybe white jeans match with everything too, but I really wanted to share these two outfits. (Because I may or may not be obsessed with them...) I chose my Tory Burch tunic in the first picture, and my Lilly "Jonni" shirt in the second picture. I like these outfits so much because they look so crisp because of the white jeans, yet so fun because of the bright, patterned shirts!! What will you be wearing over spring break? Or if you already went on break, what did you wear? I love your styling! The Lilly top is so cute! LOVE! You look darling, Frannie! I love all the outfits! Especially the last two!! Also I tagged you for the Spring Tag!!! Check it out here! Love the lilly skirts. They are beautiful!